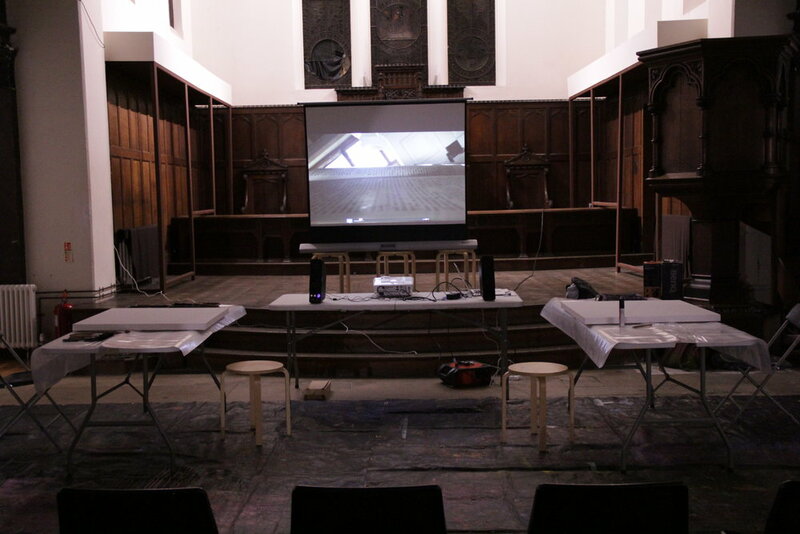 Fabrica is a visual arts organisation based in a former Regency church in the heart of Brighton, which commissions contemporary visual art installations specific to the building. Fabrica is a place where artists come to make new work. Fabrica supports and encourages the artists with whom it works to be adventurous and to test the boundaries of their practice. ‘In Colour’ by Peter Hudson funded by an Explore & Test grant from Paul Hamlyn Foundation, is a non-verbal, immersive and inclusive light installation that serves as a pilot for future Explorers gallery co commissions. 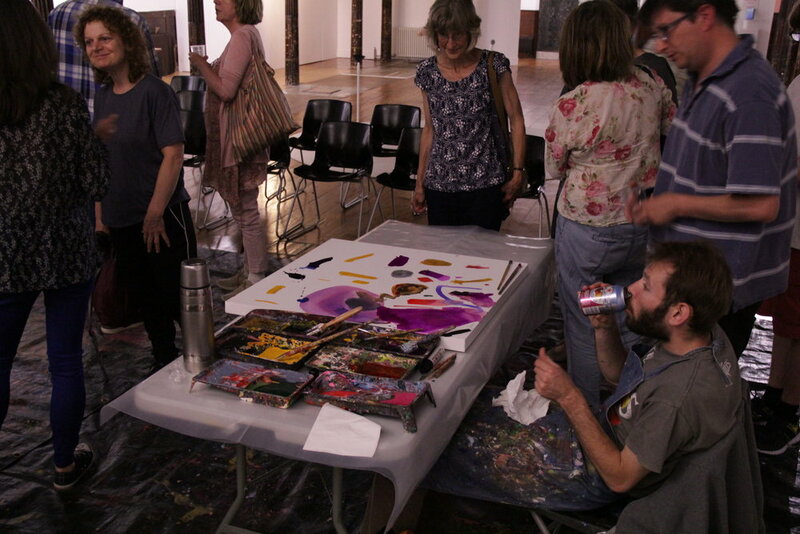 During the research period Peter observed 4 workshop studio sessions and Art Breaks for families at Project Art Works. He went on to create a development space to test his ideas over 6 days with our participants. The exhibition ran from 8 July – 28 August and received 7,246 gallery visitors. 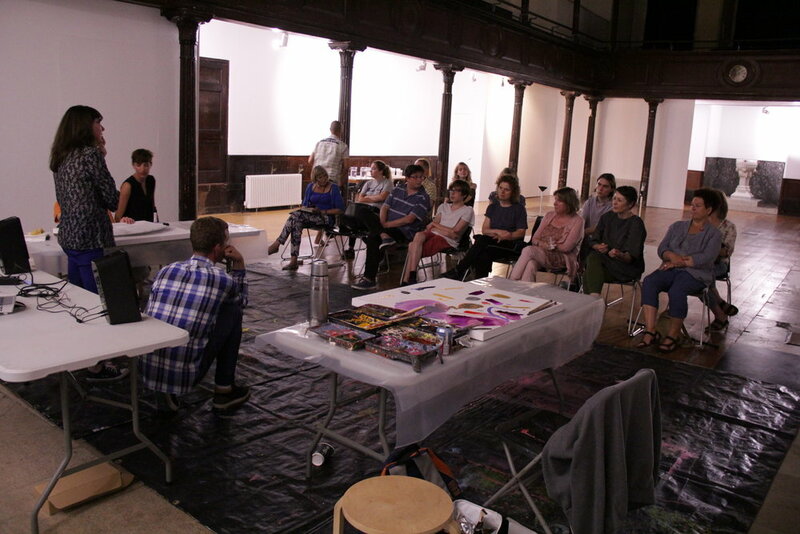 A group of 8 Fabrica staff, volunteers and an art facilitator came to Project Art Works on 8 June for presentations and studio visits so they could better understand our work and communicate this with their front of house volunteers and gallery visitors and to consider how they can make gallery visitors with complex needs more welcome and comfortable. 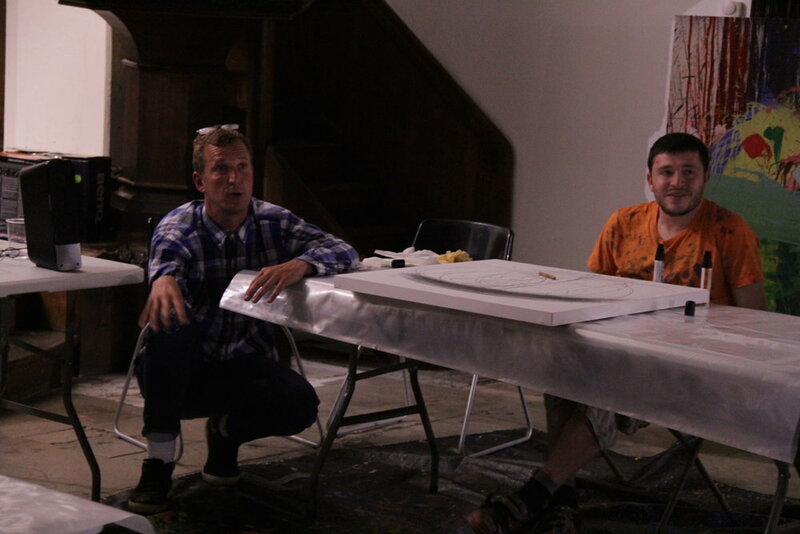 A workshop at Fabrica where Project Art Works’ makers Sam and George Smith, both of whom have complex support needs, presented their work to the public. Sam and George were supported by their mother, Charlotte Moore, and Tim Corrigan and Sara Dare who are Project Art Works’ artists. 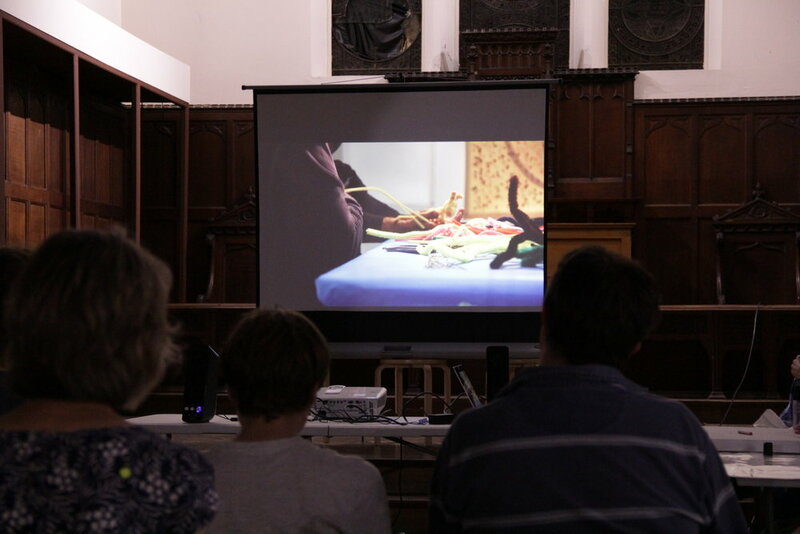 Fabrica originally took part in an Awareness Raising and Encounter sessions in 2012 as part of a pilot study anticipating Explorers. On 11 July 2017 our Tuesday Studio participants, their families/carers and artists visited the In Colour exhibition at Fabrica and ran a workshop in the gallery providing gallery staff and volunteers experience participating in a creative encounter with people with complex needs. The workshop was followed by an Explorers meeting attended by 14 people representing the Explorers partner group from across the UK. Liz Whitehead, Fabrica Director, and Peter Hudson gave an account of the co commission process and experience. Marima Attah, Programme Curator from Photoworks and Lucy Keany and Ali Eisa, Public Programme Managers from Autograph shared their experience of their Awareness Raising and Encounter sessions. The meeting gave an opportunity for all the partners to explore their understanding and experiences of building inclusive practice into the heart of their organisation. A public event at Fabrica on 13 July 6-8pm for artists, arts, health and social care professionals. A discussion with Liz Whitehead, Kate Adams, Peter Hudson and Clinical Psychologist Dr Tony Levitan.